As in infant, some 90 years ago, my Mom wore these shoes and sipped milk from this cup. 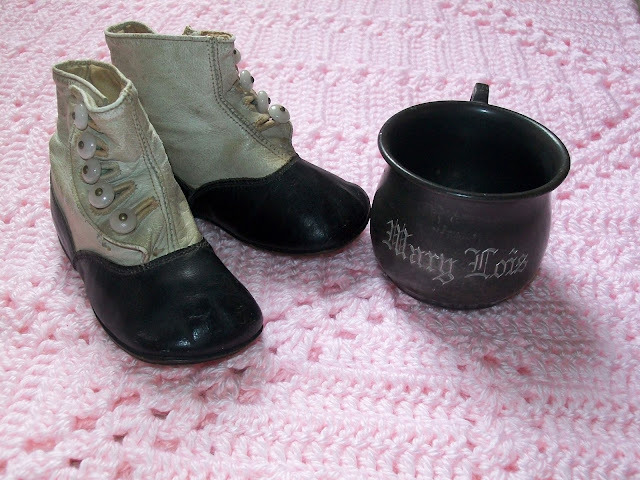 These button-up baby shoes and engraved cup are cherished keepsakes from my Mom's childhood. As Mother’s Day approaches it’s only natural to reminisce a bit and recall memories of her. I’ve many good ones, but these are the three which stand out from all the rest. Picture a modest, three-bedroom house in Vista, California, circa 1952, with a six-year- old me standing on the cement porch. I've got a lunch box in one hand, dressed in appropriate attire for first grade, and eager to walk to school with my best friend. But just as I am about to head down the steps my Mom opens the front door and calls out my name. In her hands is a red wool coat. Though we live in sunny Southern California it's a cold day and a warm jacket is warranted. Her message is clear though she doesn't say a word. Begrudgingly I slip my arms into the sleeves and while my Mom bends over to button up the coat I begin to cry. Tears continue to fall and my quivering lips remain closed. My tears began to subside when I heard that promise making it possible to tell her, “Okay." When she finished buttoning my coat and gave me a hug I quickly cut across the yard and met up with my friends for our daily trek to school. I have no recollection of any shopping trip for a new coat but I’m sure my Mom kept her word once funds were available. Why that childhood memory stands apart from all the others no doubt is due to the tears and expression I saw in my Mother’s eyes that day. Though only a child I somehow grasped she hurt too, though I'm sure I did not fully comprehend the reason behind her tears. Ironically, today a bright red coat hangs in my closet, one of my favorite cover ups whenever the weather turns chilly. Another special memory with my Mom happened a few years later, one December morning back in the early 1950’s. Typical of most girls my age playtime centered on dolls. Though I never had a Barbie, it was still fun to imagine a world where my doll could attend parties, go to the beach, pretend she was famous, play house, and more. Good ol' black/white TV with 13 channels! My doll’s wardrobe was rather sparse, so my Mom, who was quite adept at sewing, created a batch of doll clothes as a Christmas gift. Once the various garments were complete she folded and placed them in a small suitcase, added some holiday wrap and tucked the present under the tree. It was the best surprise! I don’t remember anything else I received that Christmas as I was so enthralled with this one gift. In time I outgrew my love for dolls, and at one point must have given them and their wardrobe away as we had miniscule closets in those days and no garage to store our prize possessions. 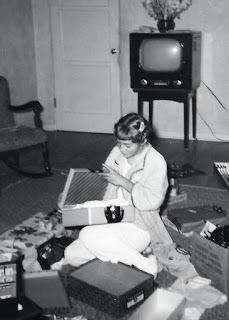 But I do have a photo from that morning which always stirs up memories and reminds me of my gifted and thoughtful Mom. 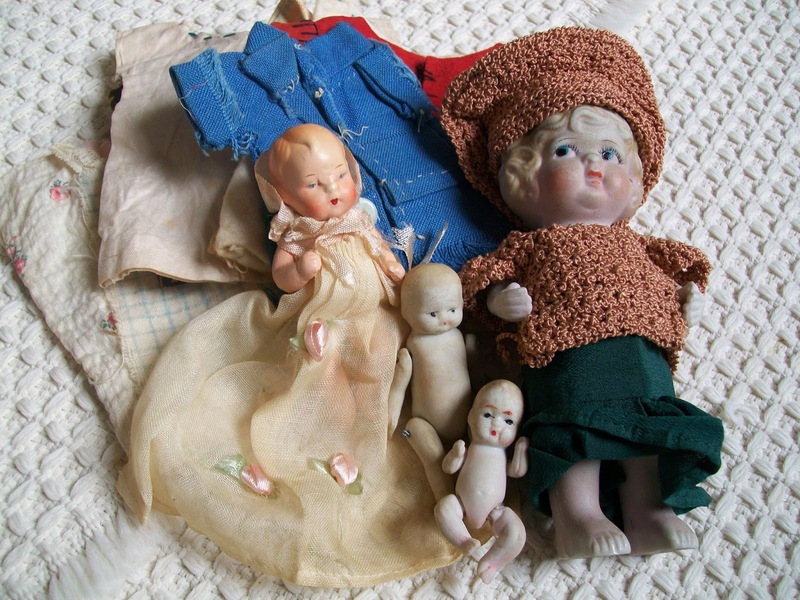 Not too long ago I went through a container marked “Mom’s old photos, etc.” Among the pictures were porcelain dolls she played with as a child and a few doll clothes her tiny hands had sewn. As I marveled at what I had come across I felt like an archaeologist who had unearthed a remarkable find. What a treasure to hold in my hands her handiwork and the tiny, delicate dolls which undoubtedly were special to her. Seeing what was probably her first attempt at sewing made me aware of my Mother’s early interest in sewing and caused me to wonder if anyone recognized this about her or encouraged her, later in life, to be a fashion designer. Whether or not they did, she found a way to express her talent via an old Singer sewing machine. She eventually became a skillful seamstress and made numerous dresses for me and my sister, Ginny, or an occasional one for herself. Lucky for her she had a nearby fabric outlet to fuel her interest in sewing. Often, she and her best friend would go there to scour through hundreds of bolts of material which sold for a mere $.35 a yard! Such a deal. So was the $.50 price of a pattern. Rarely did she return home without an armload of fabric. I realize I’m fortunate to have such good memories of my Mom. She was not perfect, nor I an angelic child, and we had our moments of conflict, but what relationship doesn’t? 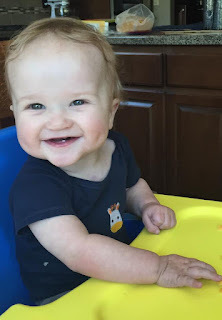 Yet what I remember mostly are those poignant moments, like the morning on the porch with the red coat, or discovering the lengths my Mom would go to make my Christmas special, and her unconditional love which is so easy to see given the passage of time. She was indeed a wonderful Mom. I hope you have a favorite memory of your Mom to reflect upon this Mother’s Day, or better yet, get to spend time with her on this national holiday. And for those who find this day painful, for whatever reason, I ask God to comfort you and somehow make up for the Mom you never had, or the pain she inflicted on you, or the love she was incapable of giving. And when that happens, may that become a treasured memory. Can you find the cracks in my antique plate? 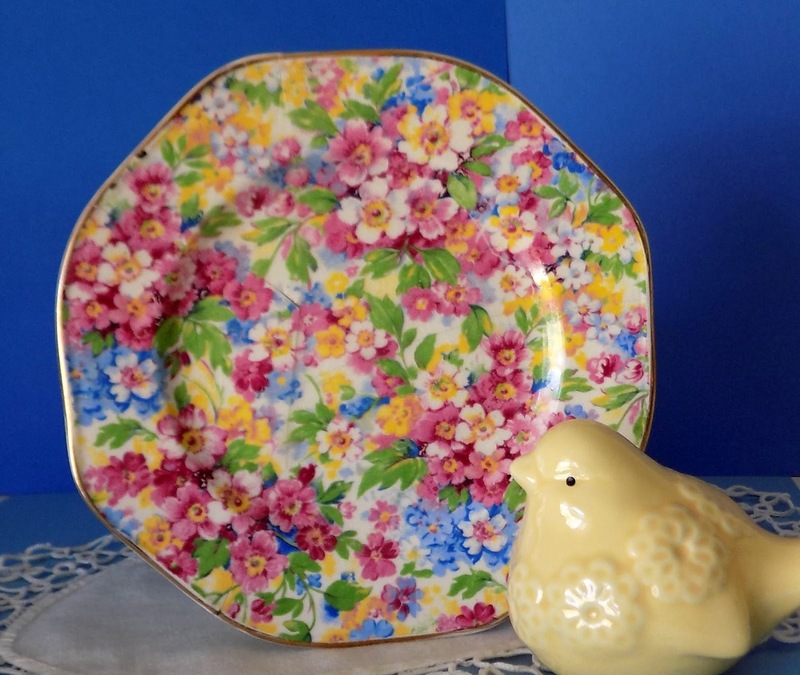 Out of all the things on display at my bungalow this small plate, with its Chintz pattern, is one of my favorite treasures. It used to be my Grandma’s and during one of my many moves got broken. It was headed for the trash can when, right before being tossed away, I decided to try and fix it. I knew it could never be used to eat off again, but I could still enjoy its beauty, even with its imperfections. And I do. 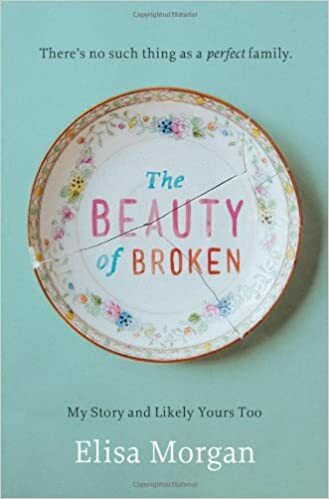 I'm pretty sure Elisa Morgan, author of The Beauty of Broken, would be in agreement with my salvaging my plate. Not because of the use of a piece of china on her book's cover, but because of her message about brokenness. The title has been on my "wish list" ever since I first gazed at the simple, striking cover and intriguing title. It wasn't until last week, though, that I took the time to look at the book's summary, author bio and read a few customer comments which convinced me I needed to read this title. So, in a matter of minutes I made the decision to buy the audio version, downloaded it, and soon thereafter began listening to Elisa narrate her own work. Now that I’ve finished it I can report: It was better than I expected! It might surprise you, as it did me, that the author is the former CEO of Mothers of Preschoolers International, a Christian ministry better known as MOPS. She’s a very capable leader and radio host while being a devoted wife, mother, grandmother and, like all of us, part of a broken family. I applaud her for writing an honest memoir. In it she reveals her inner battles and those of her original and current family, starting with her parent’s divorce and mother’s alcoholism. From there she lets us see her own brokenness and failed efforts at trying to fix the problems, both in herself and the two children she and her husband adopted. Undoubtedly, to write of her son’s drug addiction and her daughter’s teen pregnancies, one ending in a stillborn birth, or of her brother’s homosexuality, had to be difficult. Yet, it is evident her intent is not to harm but to address a truth which is the crux of her entire work: we are all broken . . . and only Jesus can fix us. Repeatedly, as I listened to the book’s audio version, my thoughts turned to parents I know who have a similar story. 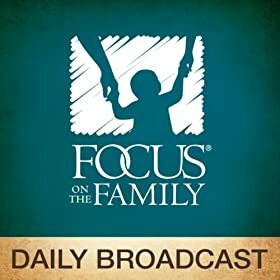 Unfortunately, the broken family is common place these days, as is spotting a parent who tries to fix their kids problems. Or worse yet, one who enables a child and allowing the problem to persist. Anyone you know like that? If so, this book might encourage and help them. It contains good, solid, biblical, and practical advice written from a compassionate heart. Though never married, nor have children, I found Elisa's remarks, especially about trying to fix others, a reminder I need to hear again and again . . . along with "Fixing others is God's job, not yours." 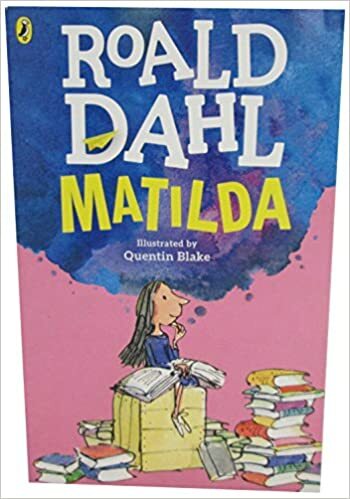 So, don’t rule out suggesting this book to any adult, regardless of age, gender or status. 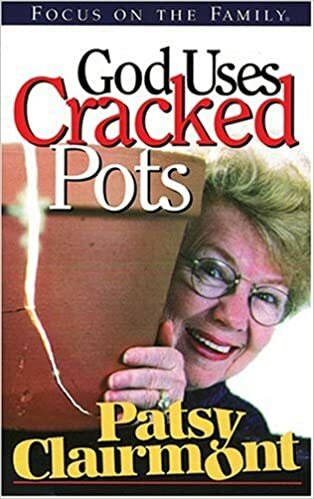 While engrossed in Elisa’s book another title, somewhat similar in content but loaded with humor, came to mind: God Uses Cracked Pots by Patsy Clairmont. This author could be a stand up comic as her storytelling often leaves audiences laughing, but also thinking. Hard to believe Patsy was once an agoraphobic, fearful of being out in public and remained at home for some six years, but now a featured speaker at the Women of Faith conferences. Years ago I owned a cassette tape of her message, also titled God Uses Cracked Pots, until it became entangled in a device. Unlike the antique plate above, this item did end up in the trash! Out of curiosity I checked Amazon and found it is available thanks to Focus on the Family in MP3 format ($1.99), so bought, downloaded and listened to it this week. It’s still the gem I remember. Made me laugh to the point of tears. I assure you, you will not regret listening to this woman. Also by Patsy is All Cracked Up: Experiencing God in the Broken Places, 2009, 140 pages, $6.99 paperback. I’ve not read it, but given that she’s penned 24 other titles it’s probably safe it say this one is a good read too. Child-like writing and imperfections -- trademarks of home-spun decor! As I final thought, I leave you with a photo since it ties in with today's topic: brokenness. 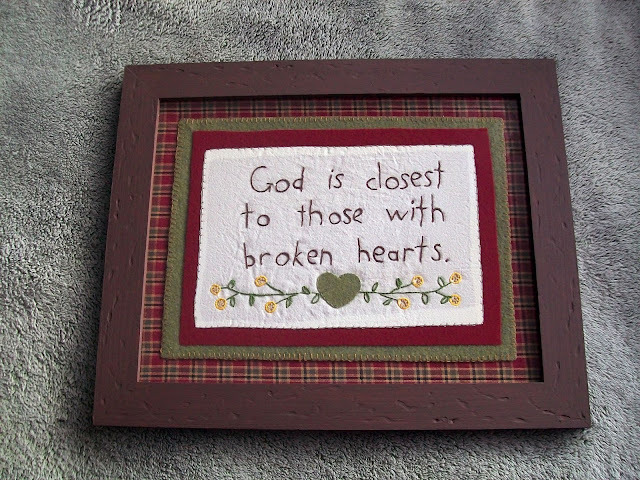 Embroidery isn’t something I often do, but last December the ol’ needle and thread were brought out to create this bit of home-spun art, based on a verse in Psalms: “The Lord is close to the brokenhearted; he rescues those whose spirits are crushed.” Psalm 34:18 NLT. It was for a friend who had spotted a similar piece in my home and commented how much she liked it. As she left I tucked away the idea to create one for her as a Christmas gift. It now hangs on a wall in her office and she’s remarked more than once how much it means to her. It's nothing special, but I include it here as a reminder that though we are all broken, we've a loving God who knows how to fix us. It wasn’t my plan to write about “brokenness” this week, but I felt compelled by God to set aside my agenda and follow His lead. Hope it is exactly what you needed to read or hear. P.S. Just a reminder: if you want to be notified whenever I put out a new post all you have to do is submit your email up top. I promise you I won't share your information. 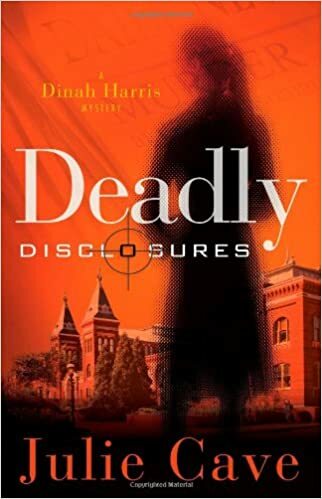 I wish I could take credit for writing this book; Deadly Disclosures by Julie Cave. But I’m not the author. An Australian also named Julie Cave is. Small world, as they say. But can you imagine how stunned I was the day I thumbed through a mail catalog from Christian Book Distributors and saw this cover? Well, this is interesting, I thought. Apparently I wrote a book! Once the shock wore off I found myself laughing as my mind announced, "Oh good, I don’t have to write that novel. Someone else did it for me. Scratch that one off the ol’ bucket list." Then curiosity kicked in which led to a search on Amazon for the book’s title. Seconds later this photo appeared on the screen and confirmed it was legit. Bypassing the summary, I quickly scrolled down to the short bio about the author. Sure enough, another Julie Cave does exist, but unlike me, she resides in Brisbane, Australia. Furthermore, she’s married, has two daughters, and is studying law! And quite a bit younger, I might add. Finally, this past week I wrote Julie. Felt very strange to send a message to my own name. She probably had a similar response and possibly wondered if this was an early April Fools’ joke. I assured her it was not, explained how I found her book, and that I was interested in writing a post about it. She was thankful for my interest and elated for the free publicity. She also answered a few questions I had about the book. Especially if you are a writer of Christian fiction I think you’ll find her answers fascinating. First, here’s this snippet from Amazon summarizing Deadly Disclosures. Now, for that Q&A with the book’s author. Julie Cave at her desk in Australia! Julie Cave/USA: I read a few reviews of your book on Amazon and wondered if the criticism about the book being a bit "preachy" made you adjust your content for the other books in the series? Julie Cave/USA: I was surprised to see you are studying law. Are you still in school? 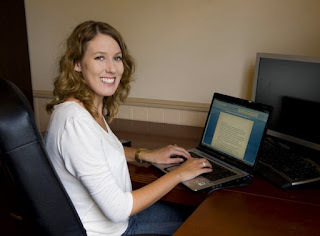 Julie Cave/USA: Are you currently writing another book? Julie Cave/USA: Just for fun, what’s your favorite food, a hobby you have, and a children's book your daughters love? If you want to get better acquainted with Julie and go to https://www.facebook.com/julieacave/. I enjoyed learning who introduced her to reading, how in her teen years she was already writing novels, who influenced her spiritual commitment to God, and more. Now, for my take about Deadly Disclosures. As I read through this book two things stood out: Julie's writing abilities, and her extensive knowledge on a subject we usually leave to the scientists--evolution vs creationism. The way she respectfully and creatively presented both views via two of the characters in the story impressed me. Several times I stopped my reading to appreciate her nicely paced mystery and admire what Julie did to make the characters seem real. So real in fact that I wanted to take the FBI agent aside and reprimand her. I learned Julie's been studying great authors for years while honing her own skills, and it shows. Once upon a time I wanted to write a novel, but I'm well aware today that it is not a simple task. 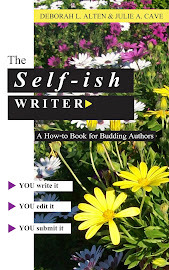 It requires a lot of research, many hours of writing and rewrites, plus editing. So for me, Julie Cave/USA I plan to stick to non-fiction and this blog and let Julie Cave/Australia continue her endeavors as a novelist. But it is fun to fool others by asking them if they have seen my novel. P.S. 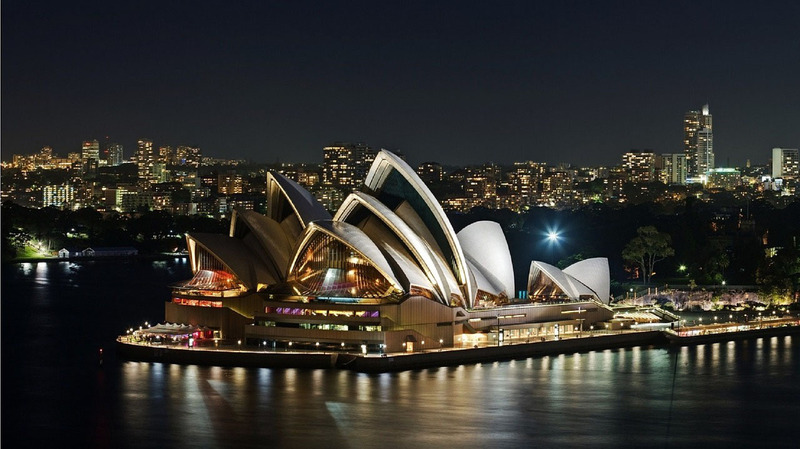 Who has been to Australia, and what’s a happy memory from your trip?